​From about 20 weeks of my second pregnancy, I was suffering from a lot of general aches and pains, but specifically sciatica. I could not pick up my toddler. I did a session 2 to 3 times a week until about 38 weeks. Without a doubt, without the chiropractic, I would have been bedridden with pain. But instead I could move around, stand upright and walk properly. I could pick up my toddler with no aches and pains. Nicole also helped my body deal with stress better, I slept better and had more energy. She took time to figure out the underlying reasons for my pain. I have found my chiropractic sessions to be a great healing experience. I initially consulted Nicole for lower back pain and spasms and have absolutely noticed improvement in that regard. The other benefit I’ve had is better sleep patterns. I would have 100% confidence in recommending Fourways Chiropractic. I consulted with Susan during my second pregnancy as I was experiencing hip pain and wanted to improve my chances of having a natural birth. I found that her great knowledge and experience relating to pregnancy and baby’s development created a fantastic support system for me. There was a significant improvement in my hip area and I achieved the natural birth I was hoping for. I have continued to see Susan following my baby’s birth and she has assisted to alleviate the discomfort in my neck and shoulders resulting from breastfeeding. I would definitely recommend seeing Dr Susan during and after pregnancy. My 6 year old son came to Dr Nicole with severe headache and neck stiffness. After the third session, his headache went away completely and he was able to move his neck fully. He also fell asleep so easily that night and the night thereafter and even fell asleep in the car on a trip we took over that weekend. He has never ever fallen asleep in the car before, and he usually struggles to fall asleep at night. I meant to call Dr.Nicole to say I feel a whole lot better. Those 2 sessions of therapy helped alot. It's like my restless legs never existed! I contacted the practice with a bad back spasm and following the initial consultation more underlying issues were identified. I have undoubtedly experienced improvement and no longer have pain in my back. I am more conscious and aware of my body. 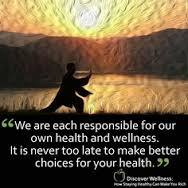 I feel supported and there is incentive to bring more healthful practices into my life. I am more alert and awake. It takes a while for those not used to gentle, subtle touch to get their heads around it because it is not a "silver bullet”. |t has been an exercise of trust to go on this journey with Nicole. I believe that the empirical side of it gives it a really robust and meaningful angle, but I am always surprised by how the subtle work is so, so powerful. I am very grateful for her guidance in the process and I feel more powerful, less anxious and worried and I “bounce back” more quickly now. I love the integrated approach. It is great being treated by such a sensitive person. I sought assistance for lower back pain which has significantly improved. Nicole was fantastic - gentle, caring and effective. I consulted Dr Nicole Bernic with a stiff back, painful neck, headaches and an overall feeling of exhaustion. After 8 consultations, I am definitely more awake and alert. It feels like a fog has lifted from my brain.